A summer time make-over on an old classic! The grill can be your best friend when it comes to summertime desserts. Every thing tastes better grilled or toasted. Even banana bread! For the sandwiches: Preheat a gas or charcoal grill on medium high heat. 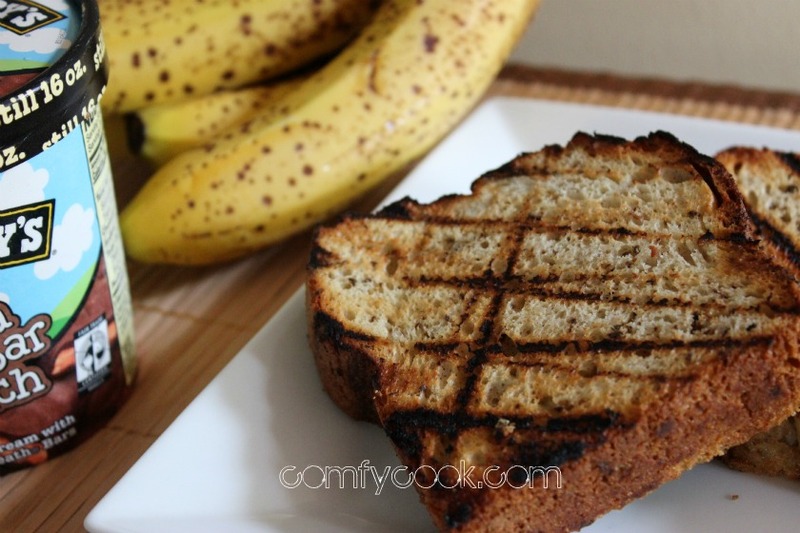 Place the banana bread slices on the grill and cook until dark grill marks form, about 2-3 minutes. Flip and cook for an additional 2 minutes. Allow to cool before making sandwiches. 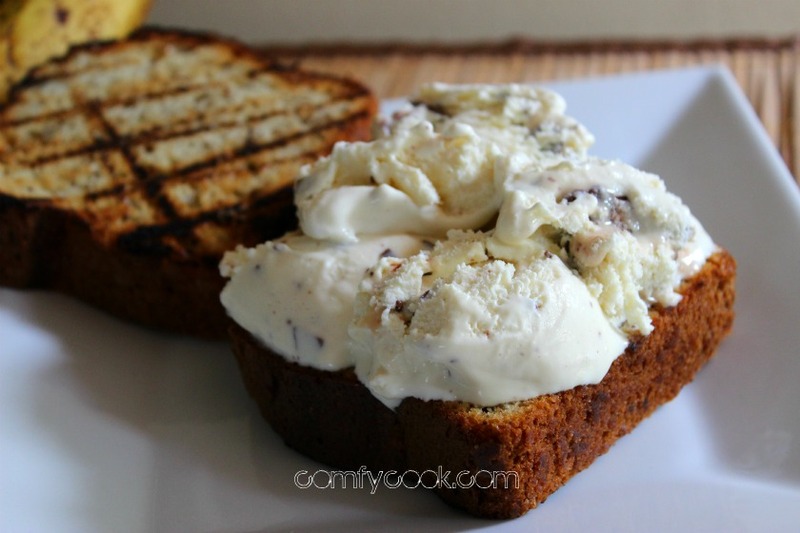 Remove the ice cream from the freezer and thaw until spreadable but not melted, about 10 minutes. 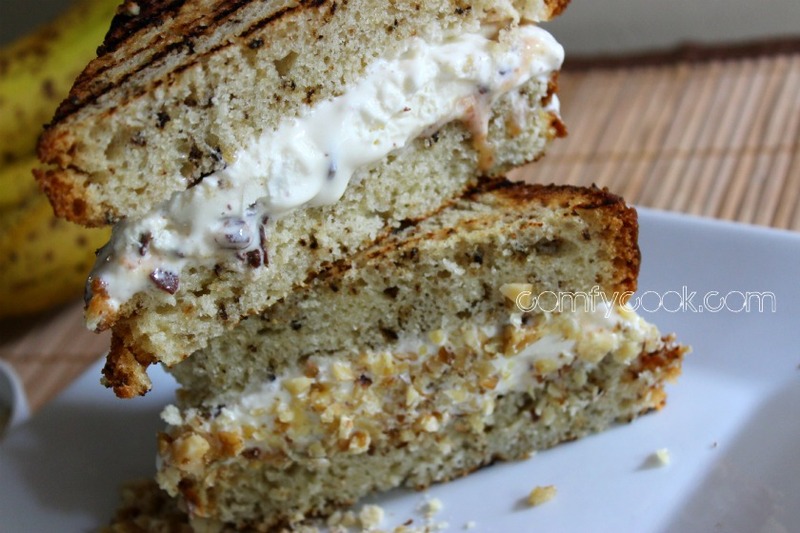 Scoop a generous amount of ice cream (about 1 cup) on a slice of grilled banana bread and spread evenly across the surface. Top with another slice of banana bread, pressing firmly to even out the ice cream. Roll in chopped walnuts if desired. Wrap tightly in wax paper or plastic wrap. Freeze for at least 1 hour. This is nothing short of brilliant!! Thanks for sharing.